Has this happened to you or to someone that you know? If not, that’s a wonderful thing. 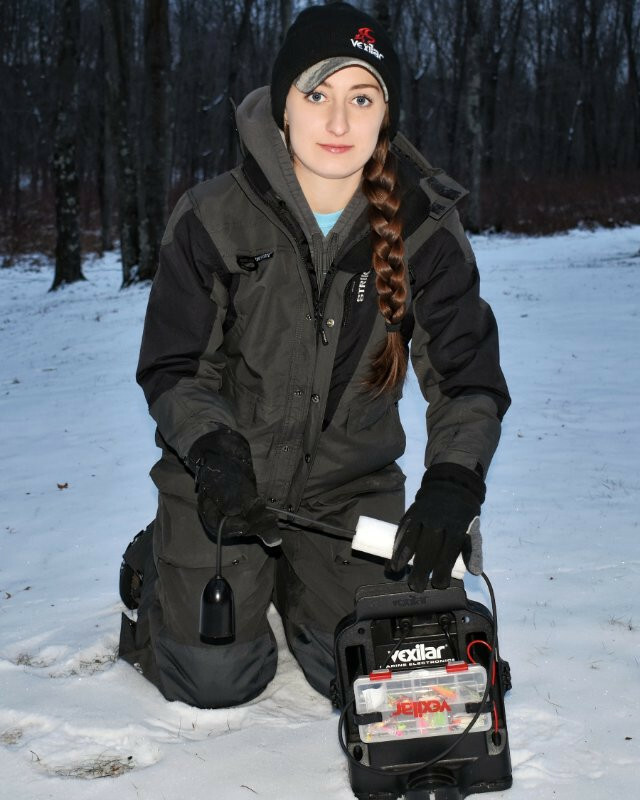 Safety is an important component while out on the ice; it should be every anglers’ priority. The truth is, anyone can fall through the ice at any point of the season. If you’re sitting there thinking, “That’ll never happen to me!” Well, you better think again, because breaking through the ice can happen to anyone. 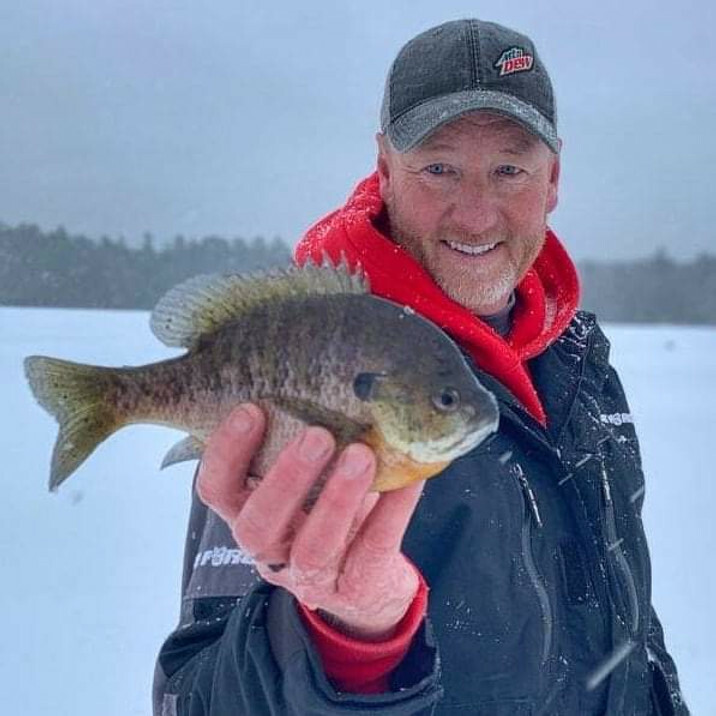 I am writing to tell you why now is an excellent time to purchase an ice fishing suit that will save your life and can handle anything Mother Nature throws your way! 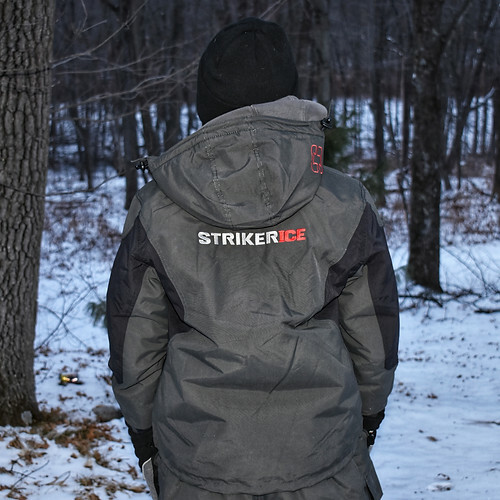 This article will guide you through why Striker ice suits are preferred by many anglers season after season. 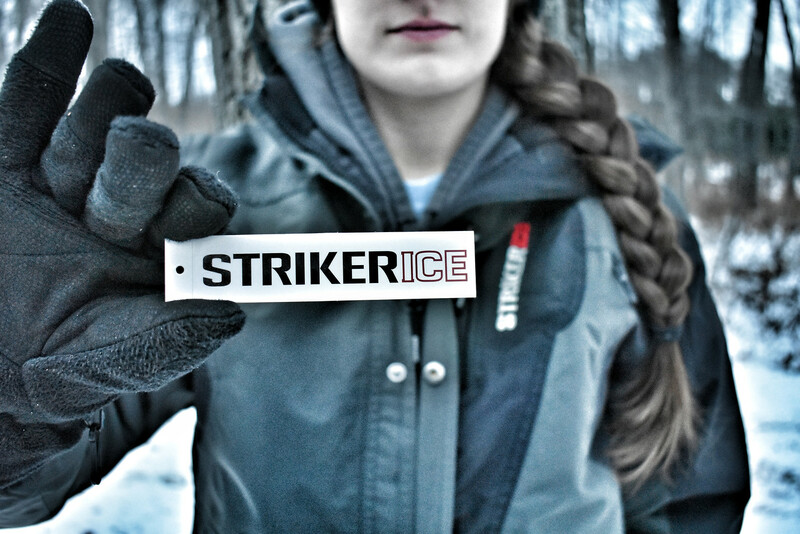 Striker Brands offer ice suits for men, women, and youth. The style featured below is the “Youth Predator” series. The bibs and jacket assure safety with “Sureflote” flotation technology and have several features that allow anglers to be successful out in the elements. The 100g Thermadex insulation and Hydrapore waterproof fabrication are the ultimate combination to keep an angler warm and comfortable. The warmth and waterproof features allow less layering underneath, which adds mobility and comfort while on the ice. The feature I highly value is the extra padding in the knees. As an angler who likes to be close to the action, as a fish nears the surface of a hole, I need bibs that offer comfort. The Predator bibs have saved me from bruised, wet knees and ice clumps stuck to my legs. Another aspect of these bibs includes the two large front pockets that zip and button shut, which keep items close and dry. Also, adjustable cuffs to shorten the length of the bibs as needed. The bibs can be put on and taken off without having to remove boots first. The zippers and buttons located on the outside of the legs easily glide up to the lower portion of the hips for easy on and off. Lastly, the jacket features waterproof, adjustable cuffs to help anglers maintain their warmth while out in the elements. 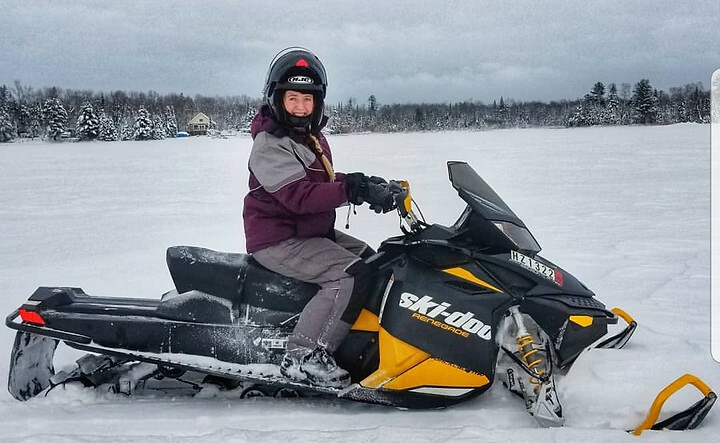 Ali Juten, also known as “Ali Upnorth” – creator of Empower Outdoors Podcast and hunting Pro-Staff team member of Outdoor Bound Tv loves her Striker ice suit. While out on the ice she wears the Women’s Prism bibs and Jacket. 1. Kurt is a relatively tall guy and his Striker ice suit fits perfectly to the length of his arms and legs. He also mentioned the ability to shorten the cuffs on the bibs for individuals that are not as tall. 3. 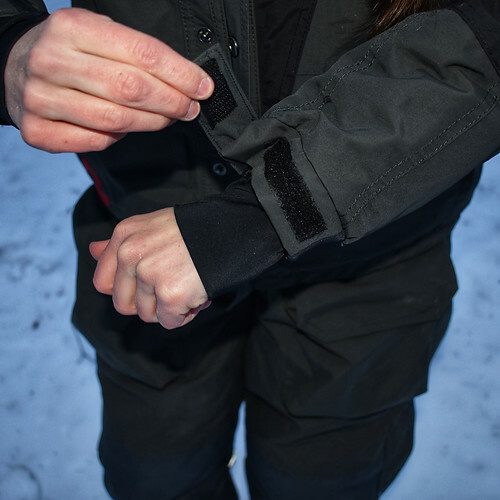 The adjustable cuffs on the jacket offer “extra warmth for anglers, especially when riding on a snowmobile or four-wheeler to get to a fishing spot.” The cuffs are waterproof and keep out unnecessary wind and snow. Be sure to subscribed to “Alicia Joy Outdoors” for adventures, reviews, and more! Until next time….tight lines and en-JOY the outdoors!